With the opening of the Downtime Line 3, we can now easily visit Circuit Road Food Centre which is just around 5 minutes walk from Mattar MRT station. 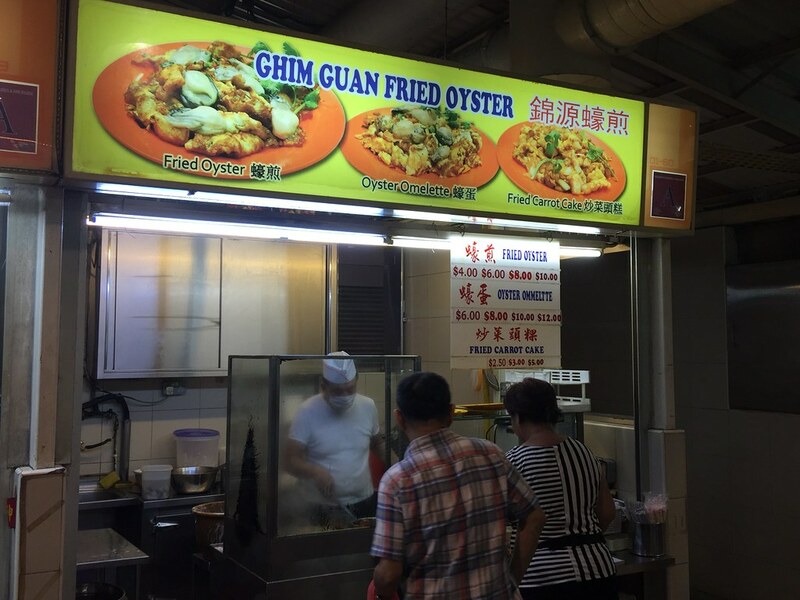 One of the many stalls I visited was Ghim Guan Fried Oyster. 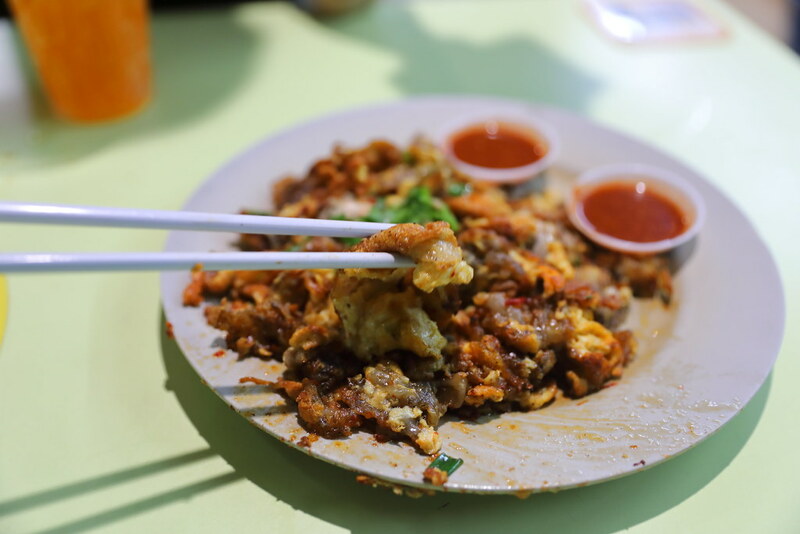 The stall only operates in the evening, selling fried oyster, oyster omelette and fried carrot cake. Run by an old couple probably in their late 50s to 60s, the uncle does the cooking while the auntie is responsible for taking the orders. Placed your order and inform the auntie your table number, and the food will be served to you. 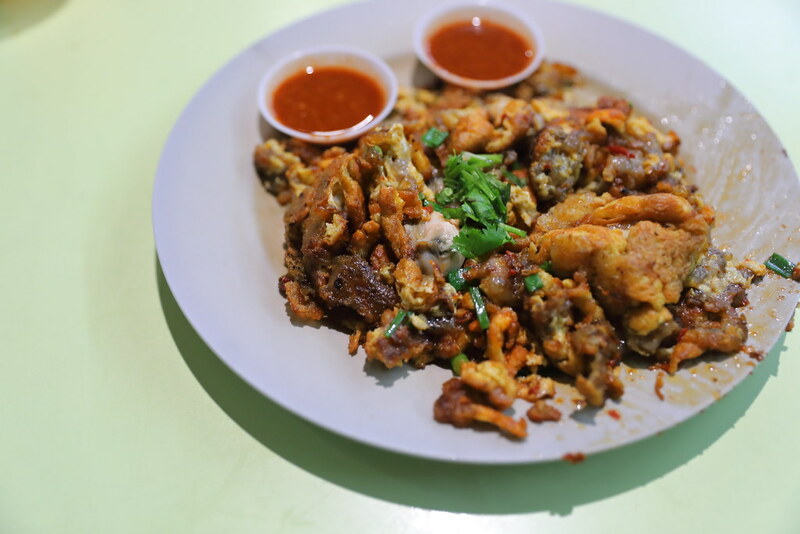 The fried oyster here is priced from $4 to $10. I order the $6 portion. The version here is the very crispy type. When you bite into the fried batter, you can hear the biscuity sound ringing in your ears. Because it is fried until so crispy, you also don't get that greasiness on the palate. 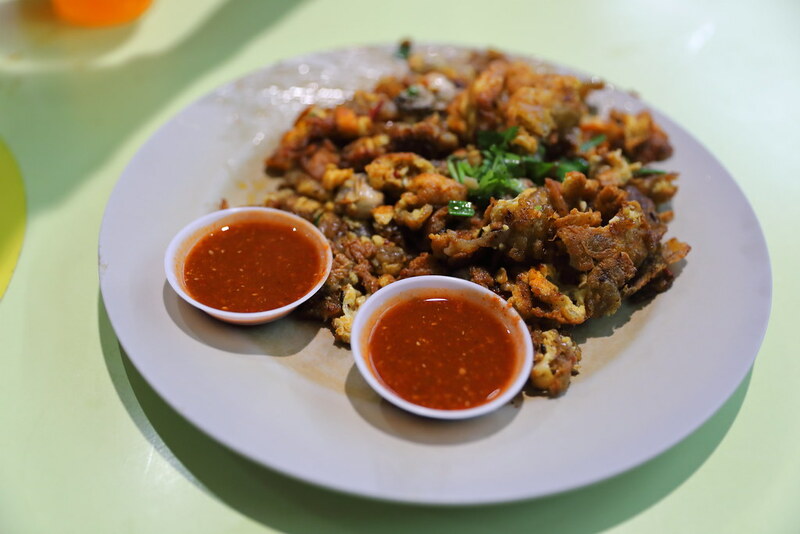 A good plate of fried oyster or orh luak requires a good chilli sauce to go with it. 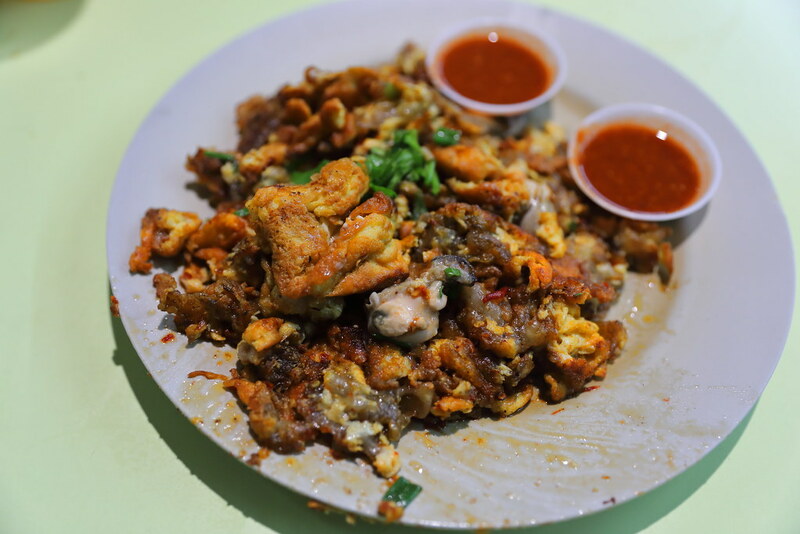 It has to be spicy and tangy to provide that punch and zestiness to the whole enjoyment of the fried goodness. While it meets the requirement but I think it can be more piquant. I personally am not a big fan of the crispy type fried oyster but I am sure there are fans who will enjoy it. However I must admit this is probably the most crispy fried oyster I have ever eaten. Do note that the stall only opens in the evening.